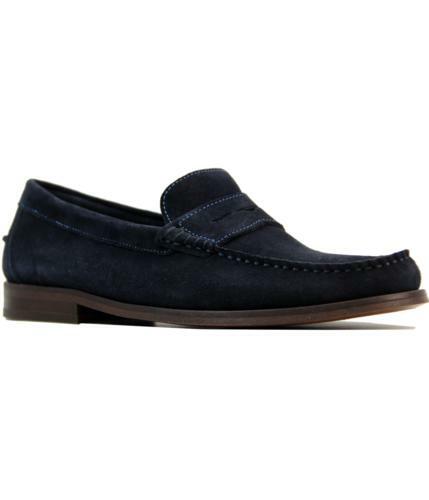 Ben Sherman 'Meos' Mens classic Sixties Mod slip on tassel loafers. This simple yet refined slimline loafer features stylish Retro twin tassels, traditional moc detail to upper and a sublime rounded toe. Pair these Ben Sherman 'Meos' Tassel Loafers with a tailored Mod 3 button suit, spear collar shirt and inch wide black tie for a timeless Mod look. 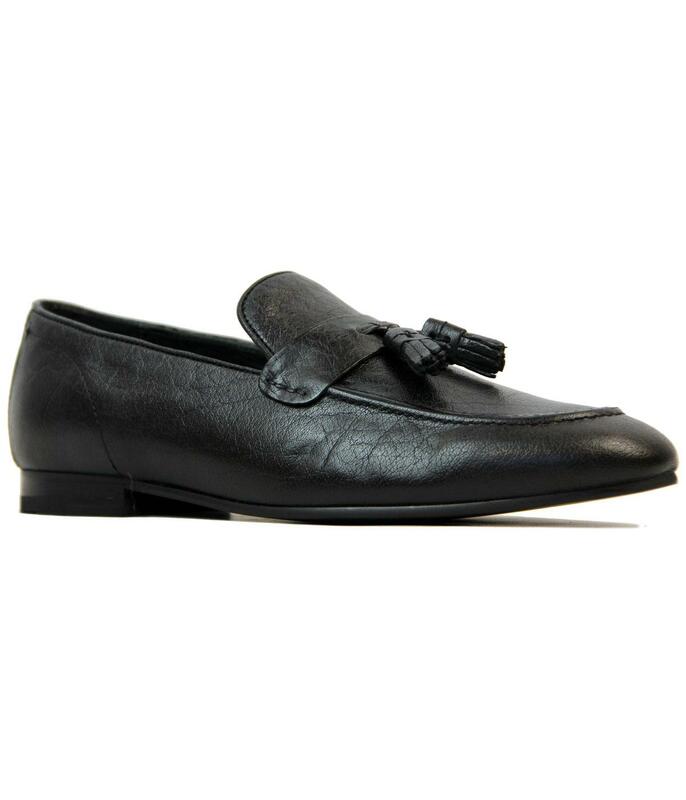 Ben Sherman 'Meos' Mens black Retro tassel loafer shoes with slender outsole and slight block heel. 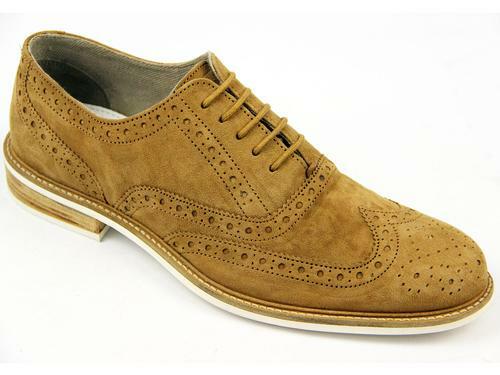 Smooth leather upper with Sixties Mod twin tassel feature and an understated cinched moccasin upper. Rounded toe, sleek silhouette, classic slip on style loafers. Button print insole finishes the shoes in style and is a nod and a wink towards the iconic Ben Sherman button down shirt. 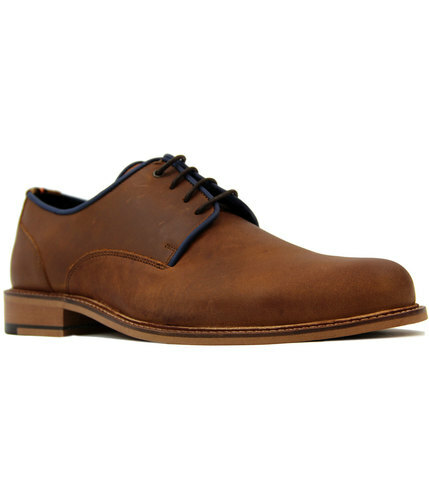 Perfect for that dapper Ivy League look - 'Meos' slip on tassel loafers by Ben Sherman. 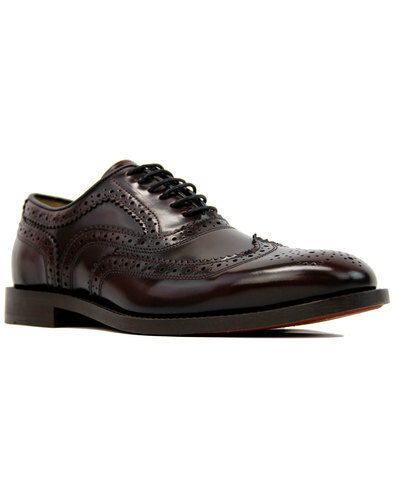 Key Points: Ben Sherman 'Meos' Men's tassel loafer shoes. Slip on style, smooth leather upper. Composition: Leather upper, other oustole. SKU: 3001010 Meos Tassel Loafers.